If you’ve had bouts and major breakouts of acne, you’ll know that scarring is one of the problems it could leave behind. Deep acne scars can be disfiguring, but not necessarily irreparable. 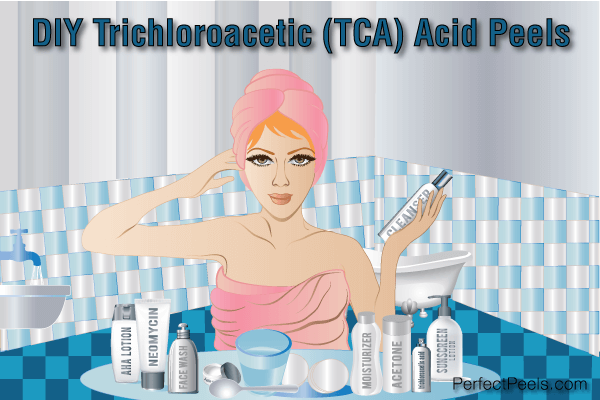 In professional spas and clinics, dermatologists will usually recommend what’s called a TCA peel or trichloroacetic acid peel to deeply penetrate the damaged skin layers and bring out the regenerated skin underneath. However, as most professional procedures go, a TCA peel is understandably expensive. But you don’t need to worry, as you can still do your own TCA chemical peel at home. So, if you think you need to remove that ugly cross-shaped scar on your cheek, or that telltale lightning-shaped scar on your forehead, read on!